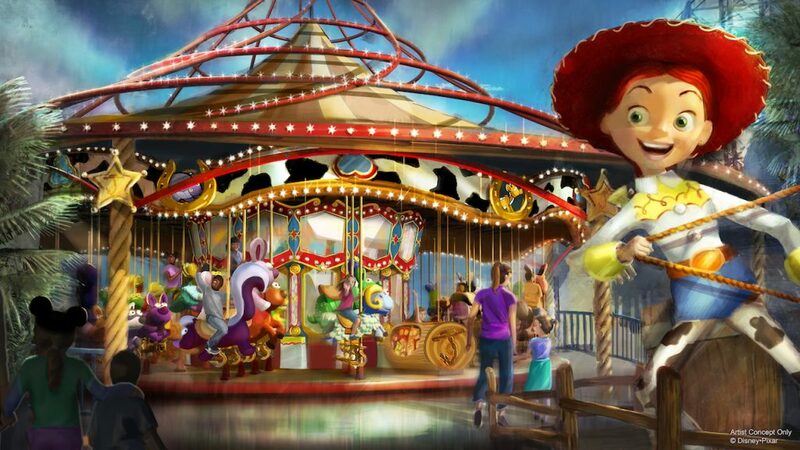 Hey everyone, lots of classic attractions coming back in this week’s Disneyland Preview! Let’s see what’s on tap this week at the Happiest Place on Earth! 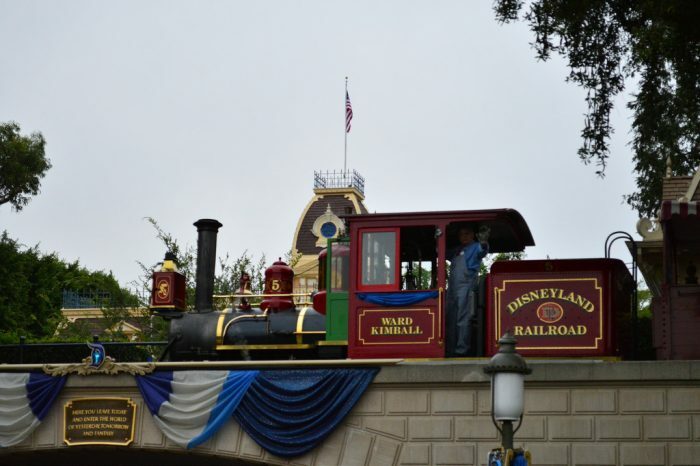 There isn’t a ton happening on the “special event” side this week at Disneyland, although this week does officially bring the Disneyland Railroad and all of the Rivers of America attractions back online. That means that the Mark Twain Riverboat, the Sailing Ship Columbia, and Davy Crockett’s Explorer Canoes will once again be available. Additionally, the Sorcerer’s Workshop at Disney’s California Adventure is reopening this week. Moreover, this means that for the first time in a long time, every single attraction will be available at Disneyland Resort starting this Saturday. Great day in the mornin’! 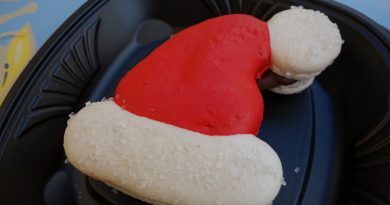 For the benefit of your stomachs (but perhaps not your waistline), Disney has announced a few more food offerings that are starting up this week at Disneyland. Late-night cravings can be satiated with a pub-grub-type menu of sliders, potato bites, and that sort of thing at Galactic Grill in Tomorrowland. Check them out and let us know what you think! 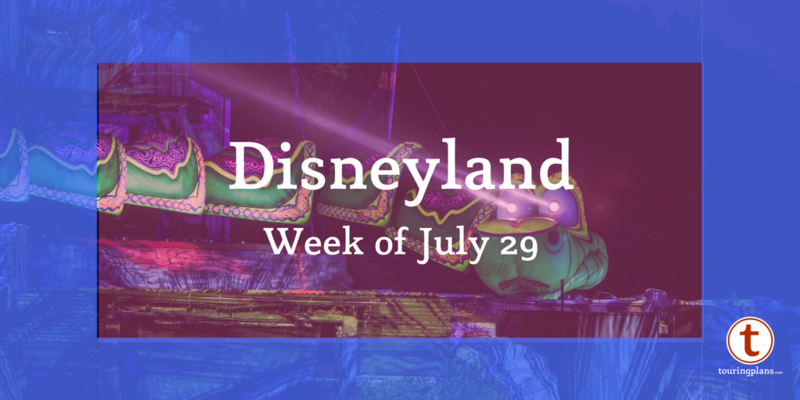 Finally, the Summer of Heroes continues at Disney’s California Adventure. As always, you should read Derek Burgan’s write-up on the event if you’ve not been before to get the most out of it. 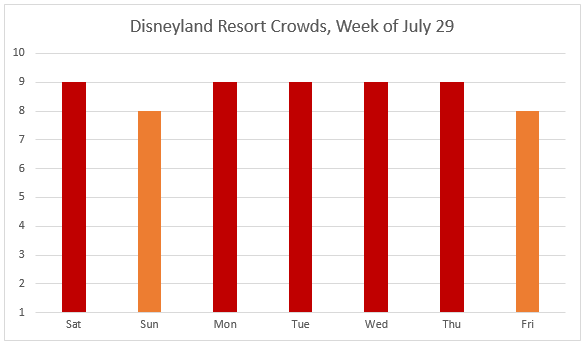 Crowds are even heavier this week than last week — several days are at a 9 level, and an 8 is the best you’re going to see. In other words, crowds are what you would expect for this time of year. If you’re looking for moderate weather this week, definitely target the early part of the week — temperatures will start out in the low 80s on Saturday and get progressively hotter as the week continues, wrapping up the week in the low 90s. Also, there is absolutely no chance of rain predicted for the week as this goes to press. That can change of course, but as of right now, it looks like a dry, reasonably temperate week, especially the earlier in the week you go. 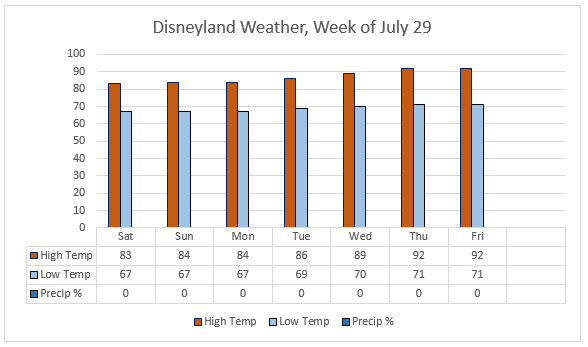 As always, it’s wise to double check the weather as the day of your visit approaches; check out the most up-to-date forecast here. As has been the case recently, Disneyland has a full slate of shows this week to go with the large crowds, although it is dialing back the Fantasmic! showings a bit. World of Color will be showing twice every night at Disney’s California Adventure, the Main Street Electrical Parade will have two showings a night at Disneyland Park, and the Remember…Dreams Come True Fireworks Spectacular will take place over Sleeping Beauty Castle every night as well. Additionally, both parks will run their afternoon/early evening parades once each day, and Fantasmic! will run twice a night at Disneyland Park. Detailed show schedules, including smaller-scale performances like the Disneyland Band, can be found here. Annual Passholder blockouts and park hours continue as they have the last couple of weeks. If you have a Southern California or Southern California Select Annual Passport, you’re unfortunately blocked out this entire week (and through August 20, in fact). If you have a Deluxe Annual Passport, only Saturday the 29th is blocked out. All other Annual Passports will be honored all days of the week. For those of you buying tickets as day guests, single-day tickets are at Peak cost on Saturday, Sunday, and Friday ($124 adult/$118 child) and Regular ($110 adult/$104 child) the remainder of the week. Disneyland Park will open at 8:00 a.m. and close at midnight every day this week, and Disney’s California Adventure will be open from 8:00 a.m. to 10:00 p.m. each day. The parks will open one hour early for eligible guests at Disneyland Park Saturday, Tuesday, and Thursday, and at Disney’s California Adventure Sunday, Monday, Wednesday, and Friday; resort guests can take advantage of these hours every day of their stay for Extra Magic Hours, while guests eligible for Magic Mornings can use that benefit one day at Disneyland Park only. Full park hours can be found by clicking on each date in the Crowd Calendar. Good news! For the first time in a long time, there are really no refurbishments at all, every major attraction is online as of Saturday. Character Close-Up at Disney’s California Adventure is still being replaced by Anna and Elsa of Frozen fame (as it has for several years now), but everything else is open for business. Looking ahead, the Main Street Electrical Parade will end its run on August 21, 2017, and both Space Mountain and Haunted Mansion will temporarily go down from late August through September 14, 2017 for the installment of their holiday overlays. Keep those dates in mind if those attractions are an important part of your trip! That should do it for this week’s preview. Check back next week and every week to find out what’s coming down the pike! Got questions? 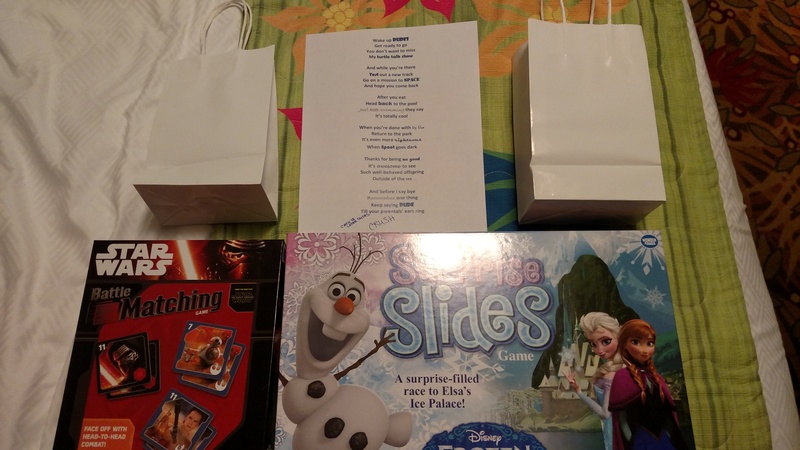 Aware of anything else that prospective guests should know about? Let us know in the comments! In reference to Space Mountain and Haunted Mansion down time, just how “late” in August are we talking here? Maybe August 29? Disney has not announced anything in a direct way, so keep in mind that this could be subject to change, but playing around with dates on the website to see what’s open on those days, it looks like Mansion is scheduled to go down Aug 28, and Space Mountain is dark as of August 21. What will replace the Main Street Electrical Parade when it goes down in August? I just noticed today on the Touring Plans refurbishment page that Monsters Inc. is listed as having an uncertain return date- have they just not announced when it’s coming back, or is it possibly leaving forever? I’ve not heard any rumblings, let alone anything official, about it permanently closing any time soon. We’ll let you know if anything changes on that front, but for the time being, I think it’s more just that we don’t yet know when it will be returning.